The honest answer is there is no right answer to whether you should sell your house before building. Your decision will depend on what you can afford and what resources you have. 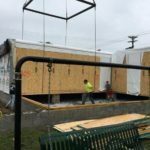 A modular home build normally takes approximately six months, but occasionally homeowners run into unexpected obstacles with weather, permits, surveys, and utility companies that may add an additional month or more to the process. If you sell your house first, will you be able to find a place to stay for that amount of time? Is it a place that will allow flexibility in case unforeseen circumstances warrant a longer stay? If you have that option, selling your house first might be worth considering. While the housing market may be good in your area, there is still no guarantee your house will sell quickly. If you still have a mortgage on your old home, can you afford both mortgages until the time your house sells? Of course, there is always the option of renting your old house, but that begs the question, do you want to be a landlord? Renting your home to someone else, while it might ease your financial burden in the short term, could lead to long-term hassles, such as damage done to your home by a renter. What about financing your new home? As we’ve discussed previously, a construction loan may be an answer. Will your income and credit even allow you to secure two mortgage loans at the same time? 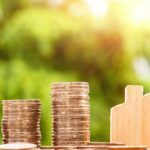 Investigating your financing options is an important step in not only deciding on your new home but also determining whether or not you need to sell your old house first. Of course, if you don’t have a mortgage on your old house, then you may not have as difficult of a decision. Not only would your current house give you collateral and the possibility to use its equity for your new modular home build, it would also reduce the hassle of moving multiple times, as well as lessen worries over the financial burden of owning both houses at the same time. That being said, you will still need to maintain the old house until it sells and, while you may not have a mortgage payment, you will still need to take care of taxes and upkeep. 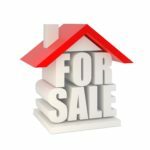 In the end, the decision on whether you should sell your old house before you build a new house is an individualized choice based on your current financial situation and how much risk you are willing to take. 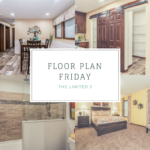 If you want to discuss possible floorplan options, customizations available and get some feedback on your personal situation, visit our website at www.dw-homes.com to view floor plans, see what models we have available at our three centers and find contact information for the location closest to you.